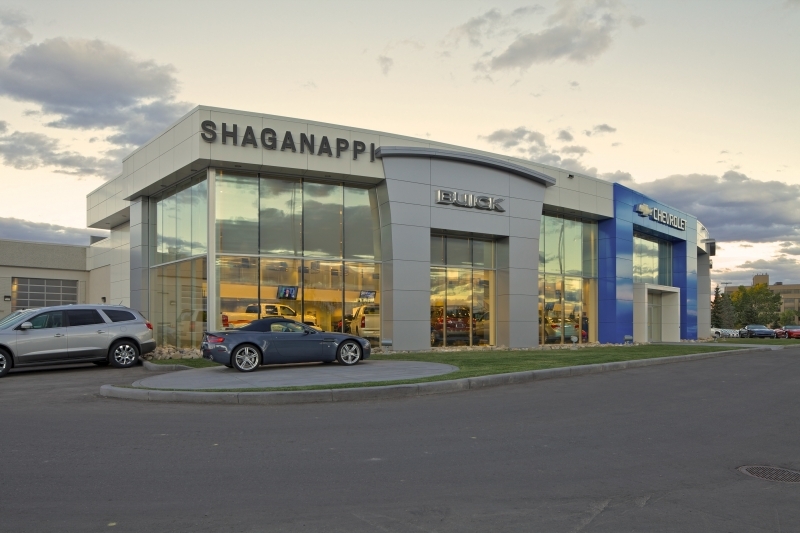 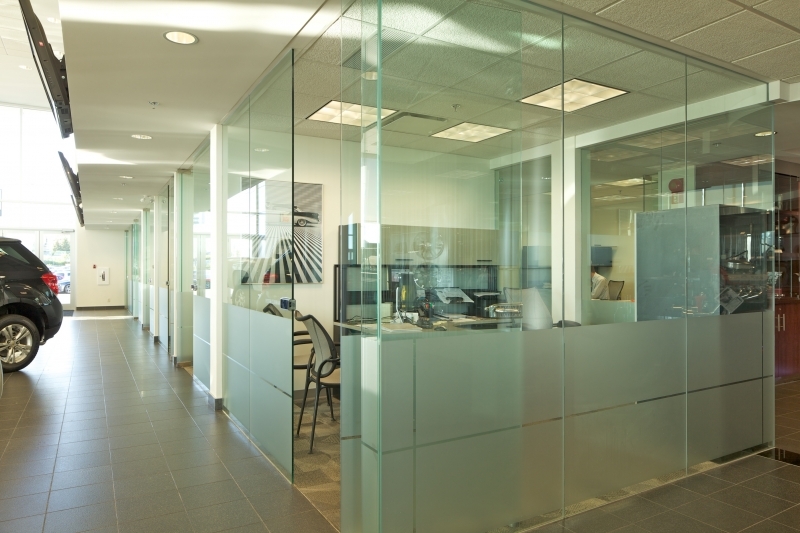 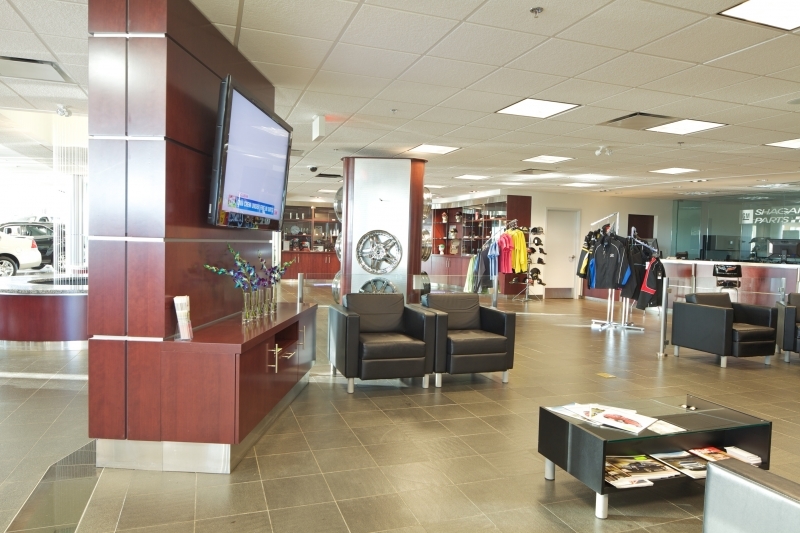 Design Response – The design provides a fresh new image for a non-descript aging car dealership built in the early 1980’s. 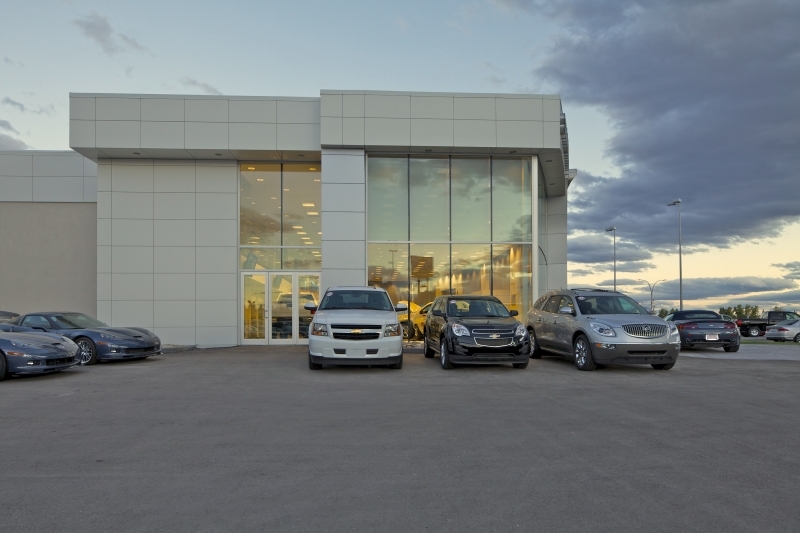 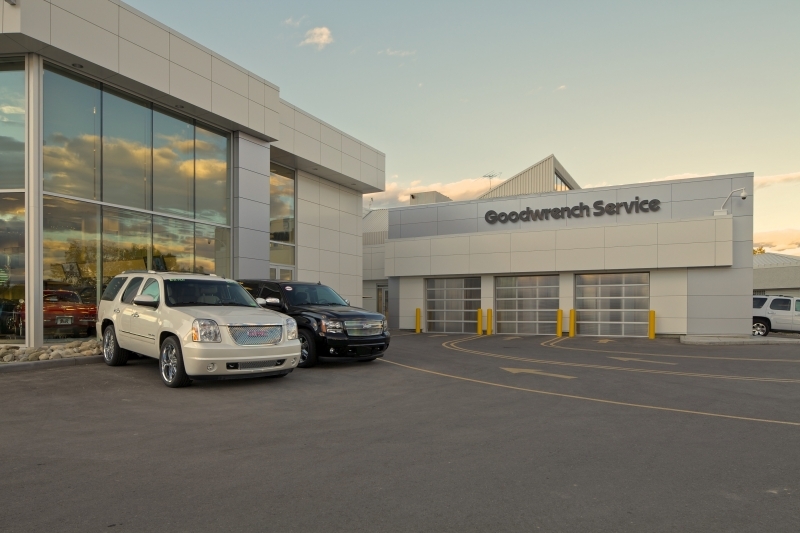 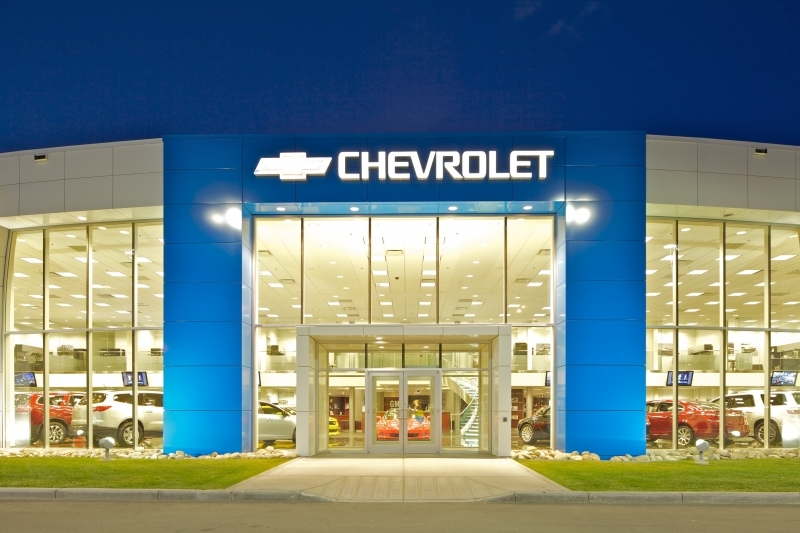 Conceived during the GM crisis in 2008, this modern highly technical solution provides many of the design features which would soon form the GM Dealer Image Program requirements for all dealerships. 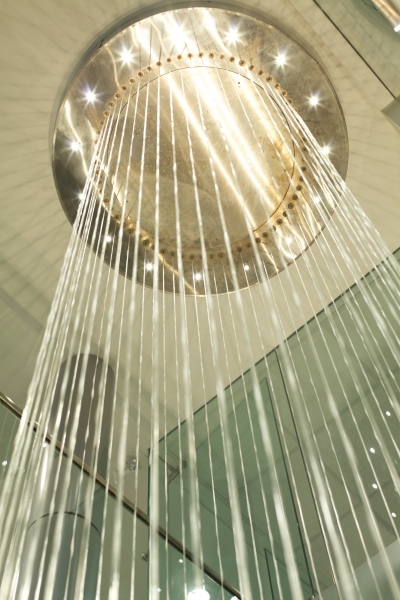 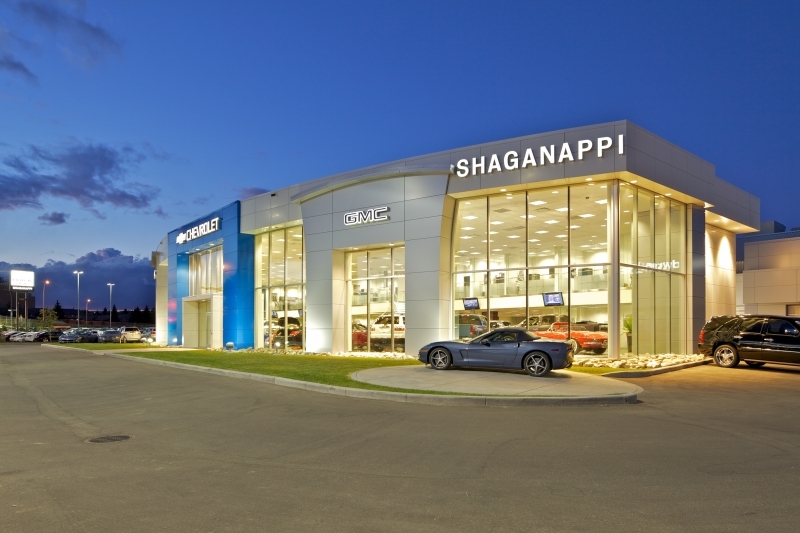 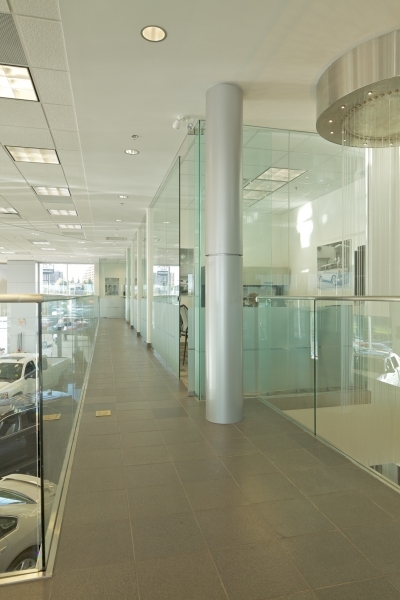 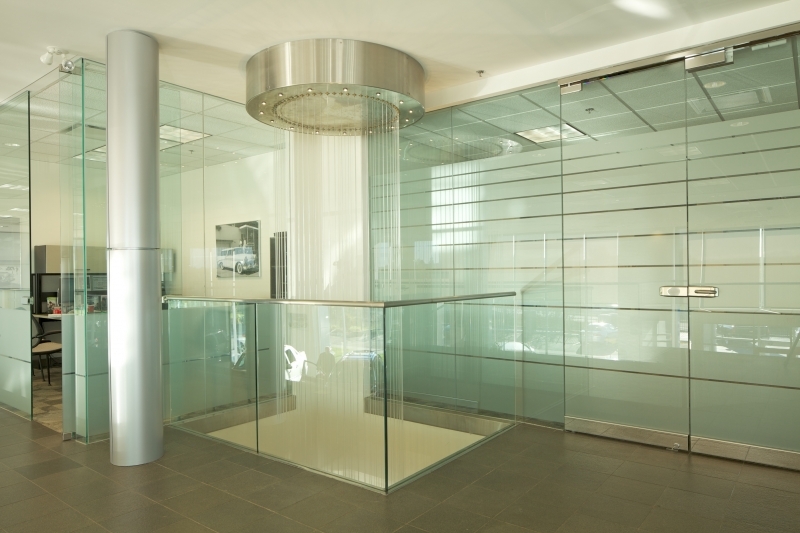 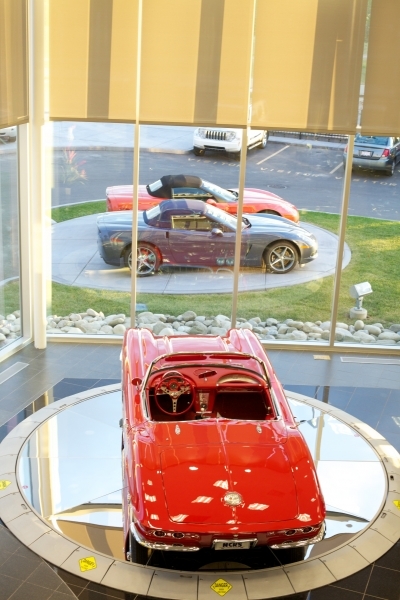 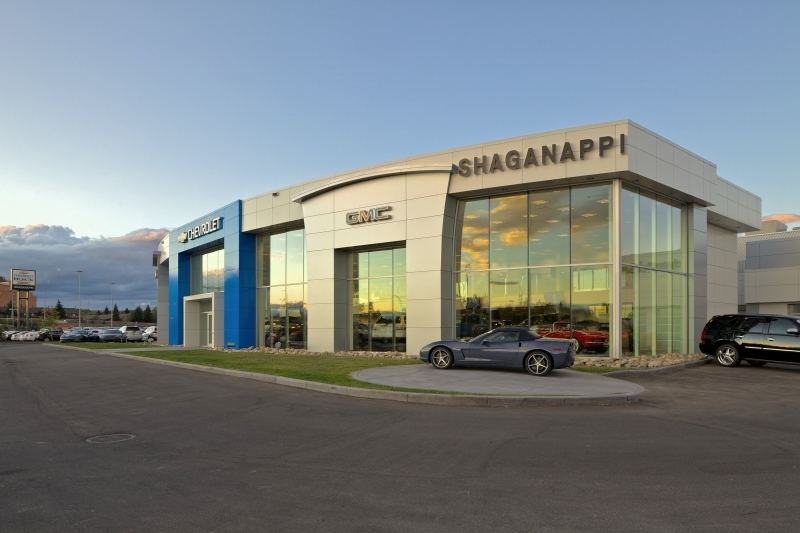 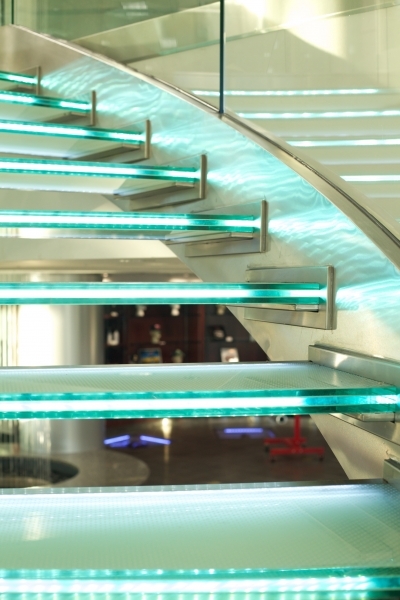 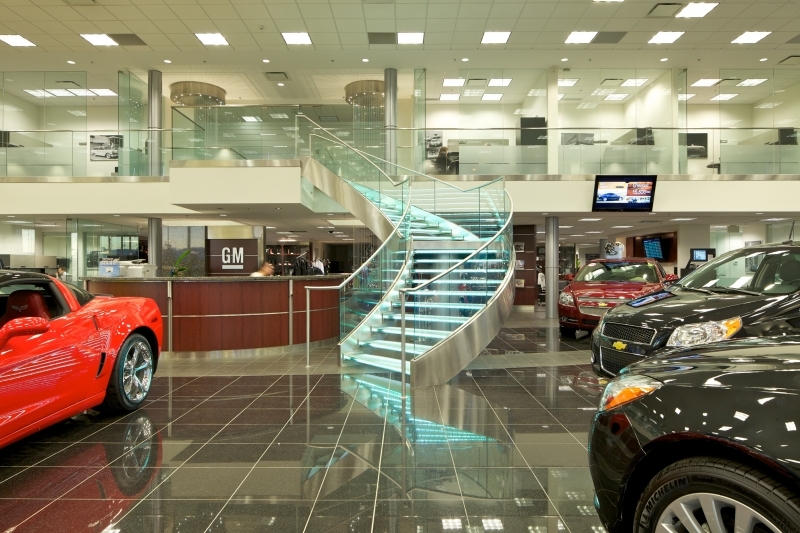 A spacious, bright showroom with full height glass curtain wall; spectacular feature stair with curved glass balustrades and LED lighted glass stair treads; and two circular waterfalls dropping two storeys to the polished granite floor of the showroom provide a spectacular setting to merchandize new vehicles.